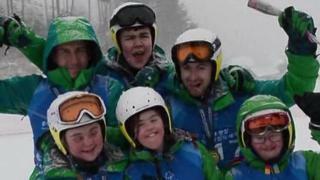 Ulster skiers help Team Ireland have a successful Special Olympics World Winter Games in South Korea. Three competitors from the province won five medals between them. Rosalind Connolly from Portadown won gold in the Super G event, Ryan Hill from Richhill collected two silvers and there were two bronze medals for Lisburn's Lucy Best.